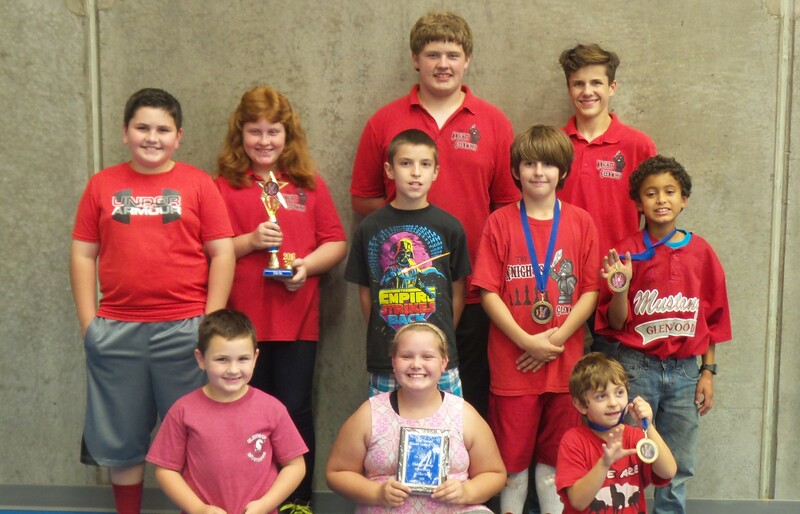 The Knights played well at the Howell County Chess Championship on October 27th. The Middle School team (5th and 6th graders) took First place in their division. Club participants were: (from back left) Trett Johnson, First Place-Lauren Shipley (Middle School Division), Nick Shipley and Everett Moss. Middle row from left: Morgan Lee, Fourth place-Toby Keith (Middle School Division) and Fourth place-Kenneth Cox (Elementary Division). Front row from left: Cole Johnson, Maggie Cundall and Fifth place-Tucker Keith (Elementary Division). Team participants not pictured are: Kaylee Cox, Hayden Summers, Emma McGuffey, and J.D. Sydow.